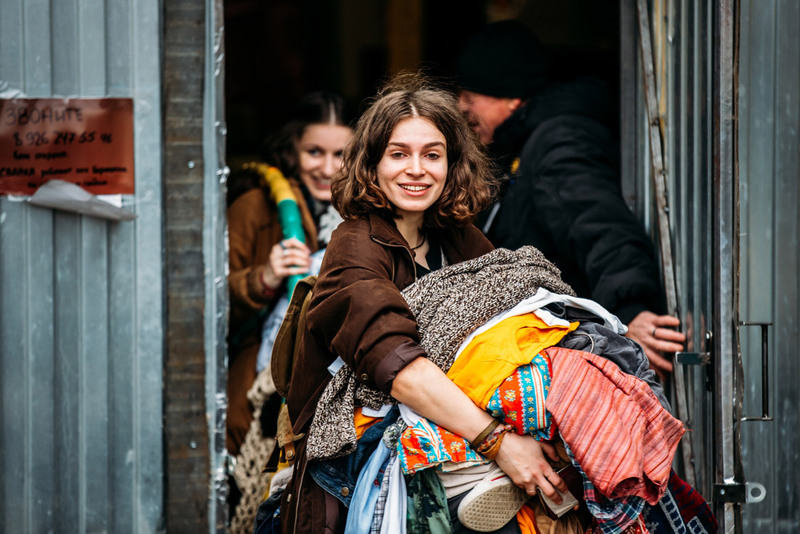 As with Indians, many Russians have problems throwing away unwanted and unused clothes and household goods, and manage to accumulate loads of junk in their homes. New services and creative initiatives now beckon those who want to get rid of useless items. Cluttered closets, packed shelves and a balcony that has been accumulating unwanted things for years: all this can be found in any Russian apartment. Although apartment owners are convinced that the Soviet-era radio, the beautiful porcelain figurines or the out-of-style dresses will one day come in handy, the fate of these things is often pitiful: they either move to the garage, where Russians keep most unwanted things, or they end up in the garbage bin. However, fewer and fewer people in Russia today are willing to keep things that are not useful and, as the junk piles up, are searching for ways to get rid of it. One project named Svalka (“dump”), which operates in Moscow, St. Petersburg and other Russian metropolitan areas, is ready not only to remove the things that are no longer useful but also pay a symbolic price for them: "the prize for thriftiness." Everything gets sorted at the dump. Everything that can be sold is repaired and put on sale in their online shop, or is sent to wholesale partners or is sold at Svalka ‘flea’ markets. "After receiving the revenues, we send 70 percent to charity through our Dobro.Mail.ru partner with the sender being the person who gave us the things," said Alexei Barinsky, the project founder. "Mostly, people give away clothes and books. These are the most common goods," he said. "Then, in second place, are the 'walls' (cumbersome cupboards/shelf units) from the Soviet period, along with crockery and, in third place, are the electronics. In fourth place is the "diverse" category, which has everything: children's games, exercise bikes and musical instruments." "Very different kinds of people turn to us. It would be a lie if I said there was only one type of client. What's interesting is that young people mainly get rid of clothes while older people give away furniture and electronics." The project is so popular that, a year after Svalka launched, there is still a line of people waiting to have their things removed. Barinsky is optimistic: "We are expanding our pool of partners, adding alternative delivery methods and our goal is to get the stuff out within three days. We hope to achieve this next year." A popular non-profit way to get rid of your useless clothes is swapping get-togethers. Each participant brings a couple of items with which they are willing to part, and can count on picking up some new items for their wardrobe. This is how young ladies solve the age-old problem of there being nothing to wear, even though the closet can't be closed. "Out of the things bought, only half are worn actively. Many things in the closet don't bring you satisfaction anymore, they don’t fit you or you don't like them. Swaps are needed precisely to give these things a second life," explains Alisa Tayezhnaya, journalist and organizer of swapping get-togethers in Moscow. "But you should only bring what you would happily give to a close friend – everything else can be recycled." However, it is not as easy to organize such get-togethers as it appears, since they are extremely popular and often attract large groups of people. "First you need a person with a big apartment and organizational skills, for whom it will not be inconvenient to host 60-70 people at home once every two weeks. One who would then take everything that remains to charity," said Tayezhnaya. But for many people it is difficult to give away things, so many Russians sell them using an online service. The most popular service in Russia is Avito, where anyone can place an ad to sell things. The main difference between Avito and eBay is that you can't find auction lots on Avito, but no one prohibits you from negotiating with the seller. The last thing that Moscow student Anastasia Serebryanskaya bought on Avito was a pair of sneakers that would have cost up to 5,000 rubles ($80) in a store. By using Avito, Serebryanskaya was able to pay just 1,000 rubles ($15) for them. Serebryanskaya said she does not use the site often, but admits that such online services are an excellent way to get rid of useless things. Maria Mirskaya, analyst from the Laboratory of Cultural Studies at the Higher School of Economics in Moscow, notes that the desire to free oneself of useless things is characteristic only of people living in large cities. Firstly, people in metropolitan areas change their relation to things they don't use anymore. Secondly, there is the economic crisis: Instead of buying a new expensive household appliance, people search for services like Avito. In small cities the situation remains the same. "These people have garages, cellars, dachas, where they continue to store things which, in big cities, would have been thrown out because of the lack or restriction of storage space," explained Mirskaya.